Written by: Scott “SVH” Von Heldt on September 14, 2011. In my previous posts on Taking Inventory and Cleaning House I spoke about digging through your old gear and also opening those dusty jars filled with your techniques and how taking inventory of what you have could lead to some really cool new discoveries in your sound and over-all playing ability. Well there is more than one way to clean out a closet and sometimes what you find will really open your eyes to a vast world of creative possibilities. Follow me on a little journey if you will. 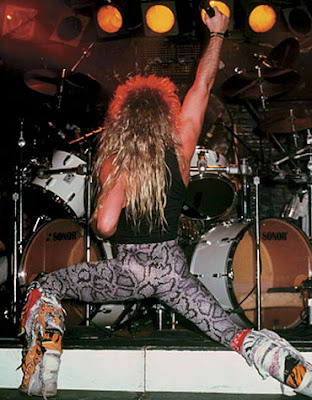 The year is 1991 and a young snakeskin spandex-clad 17 year old kid with a mullet is just shredding the snot out of an Ibanez Floral Jem in front of a packed high school auditorium. The room fills with smoke, the crowd cheers, and the band of AguaNet infused hair metallers join in for a tour de force encore of metal mayhem as he does an amazing hand over hand tapping solo! Actually I just found an old VHS tape of my first original metal band and the smoke is probably me burning something in the kitchen. However, upon popping the video tape in the old dusty VCR (that’s what we had before DVD players for those of you too young to remember) what I found was not just bad fashion sense and gratuitous plum smuggling, but some awesome licks and techniques that I must have packed away years ago and forgotten are still tucked away in my little bag of tricks. Sometimes getting the old band demos out or dusting off those old videos of your glory days in your bitchin’ cover band can really shed some light on what you’re working with past, present, and future! By taking the time to reassess not only your humble beginnings, but to almost rediscover aspects of your approach to learning, playing, and progressing as an artist, you can really expand what you knew back then with what you know now. It’s also really fun to take it a step beyond just listening to or watching those moments of yesteryear and actually taking the time to relearn and maybe even remake an old song and put a modern twist on it. Sometimes you just might surprise yourself at how ahead of the times your previous work was, and how relevant it may be to us today! 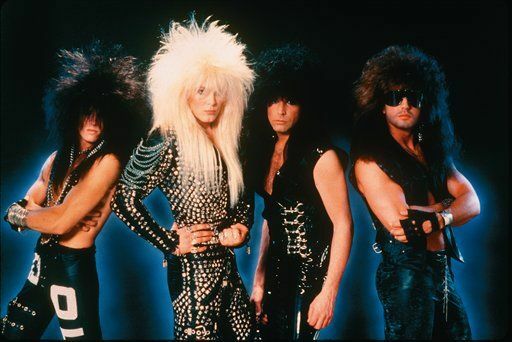 If only we could turn back time and erase the spandex, then our closet would be REALLY clean!